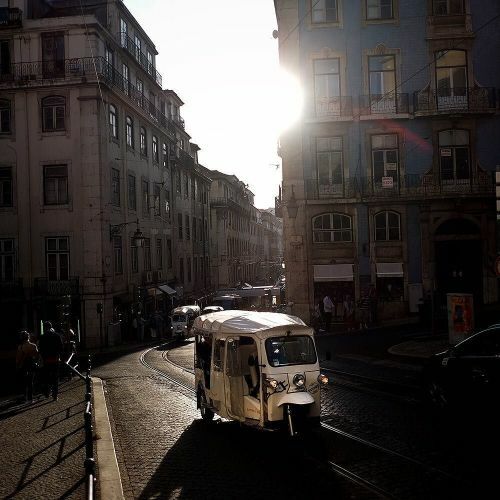 "A tuk-tuk in downtown Lisbon. Residents of this port city of faded beauty and ornately tiled facades have welcomed a surge of visitors in recent years. But with tourists came tuk-tuks. About 300 of the motorized, three-wheel vehicles have swarmed Lisbon's narrow cobblestone streets. While visitors have flocked to the #tuktuk, residents and taxi drivers are not fans. Patricia de Melo Moreira photographed #Lisbon on #nytassignment." By nytimes on Instagram.